Although it is not the original use purpose, I used it as a sofa's leg (I want to lower it than it is now). The hardness was also good, so I was able to do a good shopping. This review is about item#39453802. It is a rubber foot stably cushioned even when it is closed vigorously. It is satisfactory to attach one by one to the left and right. This review is about item#39453793. 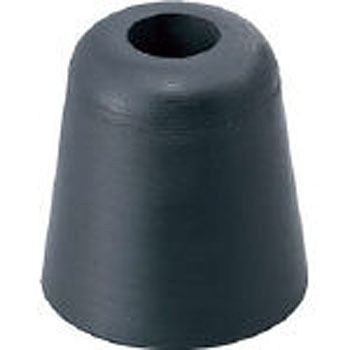 We purchased 'rubber stopper' as a nonskip of 20 kg ~ 25 kg of equipment. Four pieces were used, bolted to the four corners of the bottom of the equipment. Through the spring washer, I think that the rubber part is penetrated from the center hole of rubber stopper with tapping screw and it is attached through the spring washer, but it does not have backlash and it works well.